System error, virus infection, and many other reasons may lead to SD card corruption. If the card can be recognized as a drive by computer and no new data has been written into it, there are chances to recover data from SD card. 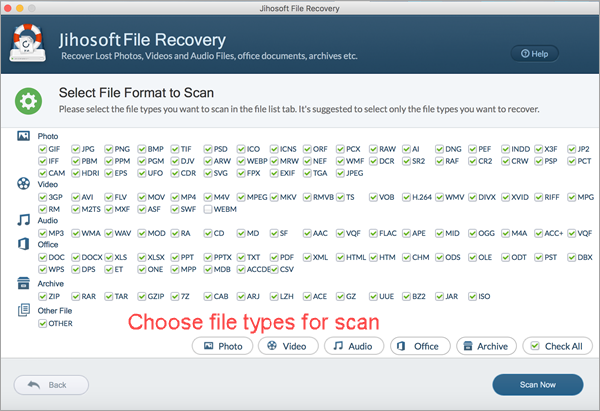 Jihosoft File Recovery or Jihosoft File Recovery for Mac can help you do the recovery. 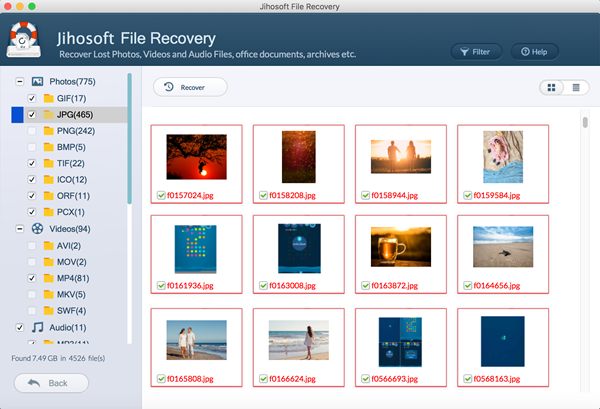 By using it, you are able to recover all deleted/lost files, including videos, photos, music files, document files, etc. from corrupted SD card with ease. Note: Here we describe how to restore deleted files from SD card with the Mac version of the program. If you need to perform SD card data recovery on Windows, please get the Windows version for help. 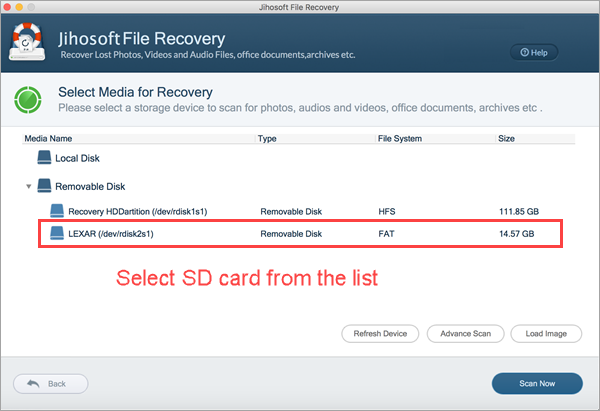 Go to Jihosoft official site and download the free trial version of this Mac SD Card File Recovery. Then install the program on your Mac computer. Take the SD card out from your cell phone or digital camera and plug it into computer with a card reader. Launch SD Card Data Recovery, and select the SD card in the drive list. Then click “Scan Now” to scan for deleted files on SD card. Tip: The “Advance Scan” is an option for you to specify file types to recover from corrupted SD card. When scanning completes, all recoverable files will be listed by category. You can preview the scanned files and mark the ones you’d like to recover from corrupted SD card. Finally click “Recover” to undelete files on SD card.